Admit it; the only outfit that comes to your mind when you just can't think of anything is a kurti. It is a versatile outfit for both casual and formal events and is comfortable as well especially during the upcoming summer. Digital print kurtis are a rage. No matter what the pattern is, it is easily being adopted into the digital print. What better time to flaunt your new set of kurtis than summer! 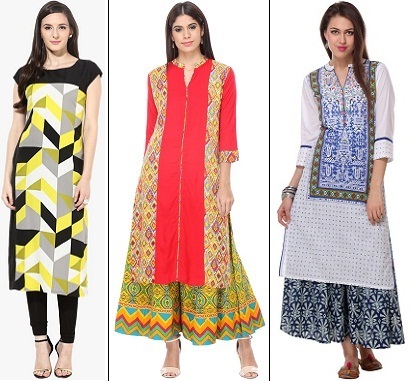 Thanks to the amazing prints, these kurtis are so chic and versatile. 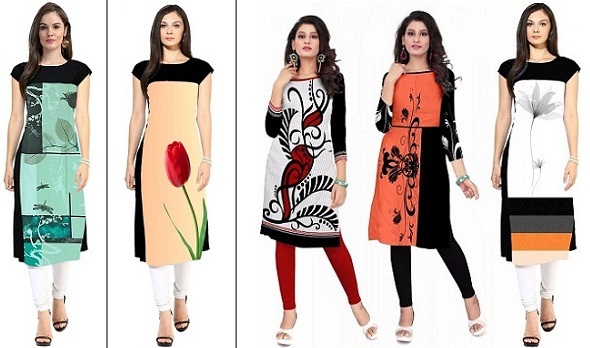 You can wear these digital print kurtis with leggings or palazzo pants. Anarkali kurtis are perfect for dressier events. Going for a traditional event? Wear Anarkali kurti as it will do justice to your ethnic look. The best part of an Anarkali kurti is that it complements all body types. You can wear it to formal or traditional events, parties and so on. Wear it along with a pair of palazzo pants or patialas to add drama to your look. Wear a bracelet and earrings or a necklace set and you are good to go. Up the ethnic game with these block printed kurtis. The subtle hues make these kurtis a perfect pick for office wear or even on a little relaxed day. Team it up with pants and jootis for a comfortable look. Pair it with solid coloured leggings, jeans or palazzo pants for a flawless look. Make sure you never wear printed bottoms with printed kurtis. You can add a scarf and a pair of hoop earrings to complete the look. 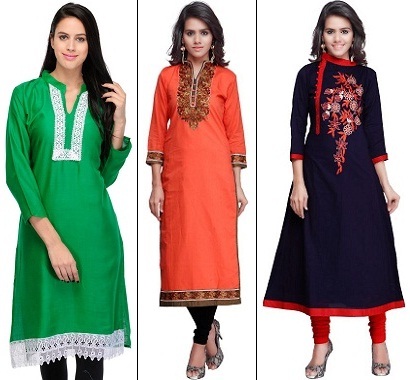 Solid coloured kurtis come with a condition- you have to be perfectly well structured in terms of your body type. Opt for this style if you have a fairly fit body or an hourglass figure. These kurtis are not good at hiding your curves. Even if you are little overweight, you can wear this kurti by teaming it with a necklace set or a bold piece of jewellery which takes away all the attention from those curves. Create a fusion look by blending contemporary and ethnic trends. 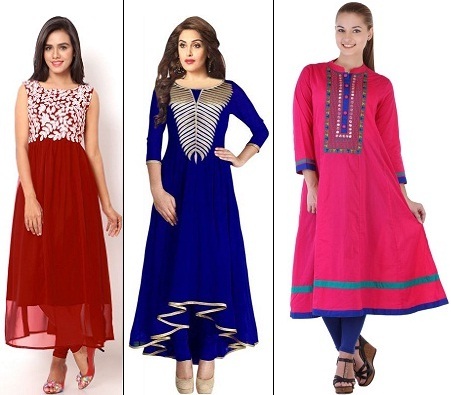 The cuts, flares and neckline of these kurtis set them apart from the regular looking kurtis. 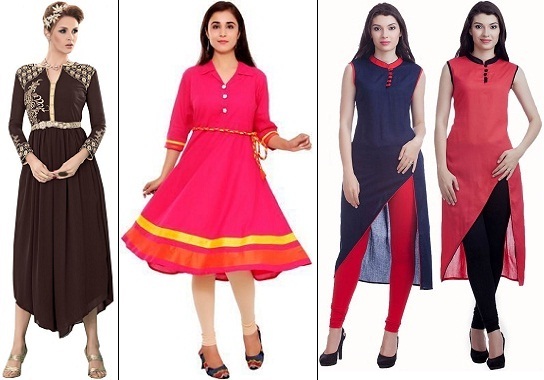 You can wear these indo-western kurtis to a party, a casual event or a date. Pair it with leggings or jeggings and accessorise the look by adding ear cuffs or any other piece of quirky jewellery. Summer is all about going minimal. How about going a solid coloured kurti with subtle embroidery over it? We say perfect! These kurtis are your best bet for office wear and other formal events. 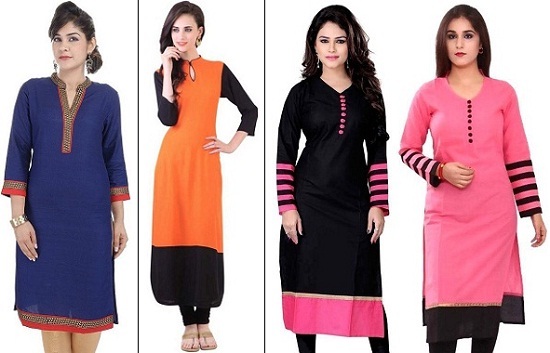 Stand out from the rest at your workplace with these elegant kurtis. The brilliant embroidery makes the kurti look sophisticated and the bold colours can help you hide those curves which you might have gained. Wear leggings and jhumkas along with an embroidered kurti to complete the look. Kurtis need not be long and flowy all the time. After all, it is summer is here! Why carry the weight of a full-length kurti all day long? Switch to a short kurti and pair it with trousers or jeans depending on the occasion. Short kurtis are truly versatile and will make you look nothing less than awesome.